Restore your rugs to their original beauty so you can display them in your home or office, adding a beautiful touch to any room. 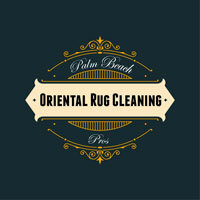 Palm Beach Oriental Rug Cleaning Pros specializes in oriental rug cleaning and repair, helping to protect and extend the life of old and timeworn rugs in Boynton Beach, FL. Whether you need a cleaning to remove dust or a repair to patch up a hole, our rug cleaning professionals has the skills and expertise to restore your rugs to their original condition. Area and Oriental rugs are both a beautiful addition to any home. Like well-placed wall decor or fine paintings, they contribute to the overall character and complete the furnishing of a well-decorated room. Unlike wall decor, however, area rugs usually receive a fair amount of traffic. Rugs like this are often put down in high-traffic areas to decorate, liven up and even protect these living spaces. But who is going to protect the rugs? Enjoy your prized family heirloom for many more years with service from Palm Beach Oriental Rug Cleaning Pros. Our team breathes new life into old rugs, restoring them to their original condition so families can display them in their homes and hand them down to future generations. 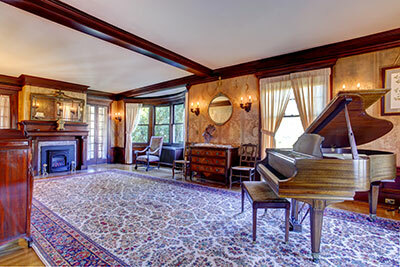 Contact us today to request a rug cleaning for your oriental rugs. Similar to carpets and upholstered furniture, area rugs act as air filters for the home, trapping dirt, allergens and bacteria and preventing those unhealthy elements from circulating to other rooms. 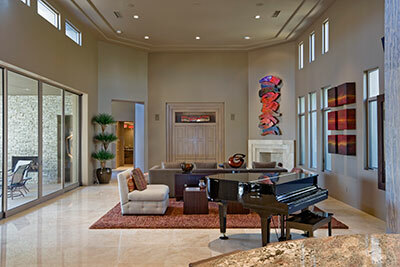 But area rugs are only able to do this properly if they are maintained and kept clean. Just as an air filter for your home ventilation system needs to be regularly replaced, your carpets, upholstery, and area rugs need to be regularly cleaned. The professionals at Palm Beach Oriental Rug Cleaning Pros provide high quality area rug cleaning services, focusing on care and attention to detail, that restore the rugs to their original beauty while removing dirt and allergens. Our rug cleaning professionals are trained to clean all types of rugs, from common area rugs to expensive and delicate Oriental or Persian rugs. For our area rug cleaning services, we use specialized tools and equipment designed for whatever kind of rug you have, whether that is synthetic, wool, cotton, silk or one of many other types. Our effective, yet gentle area rug cleaning and drying process preserves the dye within the fibers of your rug, leaving the colors in your rug vibrant and fresh. It wouldn’t make sense to clean your carpet or area rug only to have it come out in the end looking even worse than when you started. At Palm Beach Oriental Rug Cleaning Pros in Boynton Beach, FL, we understand this, and we do everything we can to make sure your area rug looks beautiful, vibrant and refreshed at the end of the cleaning process.